LAUDERDALE COUNTY, Miss. 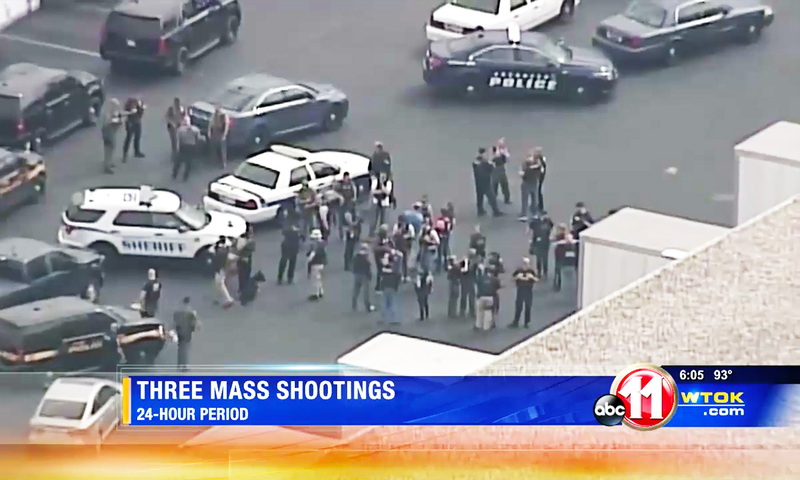 (WTOK) – The third mass shooting in a 24-hour period happened at a Rite Aid distribution center in Hartford County, Maryland, Thursday morning. A woman killed three people and wounded three others before fatally shooting herself. This shooting comes after police shot and killed a man, who opened fire at a software firm in Wisconsin Wednesday morning, and after a gunman wounded four people in a shooting at a Pennsylvania municipal center. Meridian faced a similar situation about 15 years ago when an assembly worker at Lockheed Martin shot more than a dozen co-workers, killing six and then himself. Lauderdale County Sheriff Billy Sollie says every new mass shooting that makes the news is a stark reminder of that day. “Each time we hear of one of those events around our country where a mass shooting has occurred, I think everyone that responded to Lockheed Martin, be it law enforcement or EMS, we all think back to that day and how bad it was,” Sheriff Sollie says. The sheriff says anyone interested in taking classes to prepare for an active shooter should call his office at 601-482-9806.